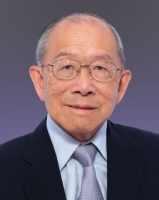 Dr Lam is one of the pioneers in filmless radiology. He was the first chief corporate radiologist at the William Osler Health System in Ontario, Canada, and has led his department to become the first radiology facility in Canada to adopt a comprehensive range of digital imaging technology. He was presented the Queen Elizabeth II Diamond Jubilee Medal by the Canadian Government in 2012 for his significant contributions to his fellow citizens, community and to Canada.